To promote and co-ordinate adequate search and rescue arrangements in the lowland areas of the United Kingdom and its offshore islands. To assist and advise statutory bodies in lowland search and rescue work. To promote and encourage discourse and co-operation between any and all search and rescue organisations in the United Kingdom. As for the financial support – agencies, humane societies, websites – like this site here and other organizations, are eligible to apply for funding. ALSAR also offers a volunteer program and everyone who wants to help us is welcome. 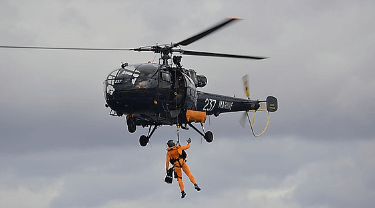 In furtherance of these aims ALSAR is also active in developing and promoting standards of best practice for Lowland SAR units as well as providing help and guidance to new and/or developing units. ALSAR is run by a management committee which is made up by representatives of its member units as well as co-opted members who bring their own skills and expertise into the organisation. ALSAR has a Memorandum of Understanding (MOU) with Mountain Rescue England and Wales (MREW) and seeks to maintain close links with such organisations and our goal is to ensure that all lowland areas of the UK have access to a specialised lowland SAR unit. ALSAR is a member of the government’s UKSAR Operators Group and is represented from time to time on various national SAR committees. What qualifications do I need to join a unit? None – All units provide full training programmes to enable you to become an operational member. However, if you have specialist skills such as medical, navigation etc then these will usually be welcomed by a prospective unit. What if I already have useful qualifications? Providing you have verifiable proof (certificates etc) then their units will usually be more than happy to accept and utilise your skills. This is, however, a matter for the unit involved and you should seek clarification directly from them. The decision to start a SAR team is an important one. Search & Rescue is a serious business and the creation and management of a SAR team is a decision not to be taken lightly. 1. Is there an already existing ALSAR or MREW team covering the area? If so then your job ends here and you should go and join the existing team. ALSAR never approves teams that setup where there is an already existing service (be that ALSAR or MREW) that ‘adequately’ covers the area. 2. Does the area need a SAR team? You are going to spend many hours recruiting, training, fundraising. Make sure you speak to ALSAR and to your Police service to ascertain whether there is a need for a SAR service in your area or whether the Police already receive this service from a neighbouring team. ALSAR has regular contact with the Police services in the UK and will always consult with them when considering applications from new teams. What am I going to need to start a SAR unit? Commitment, drive and enthusiasm are the key attributes you will need. Its also best to contact an existing ALSAR unit – They will all be happy to help and answer any questions that you may have. The Royal Air Force Mountain Rescue Service, or RAFMRS, provides the only search and rescue service that is available in all weathers in the UK. This service developed some of the earliest mountain rescue techniques which are now used all over the world. As well as dealing with plane crashes the service also rescues walkers and mountaineers who may become stuck or fall ill while they are in the mountains. The RAFMRS was first set up during the Second World War in order to rescue pilots whose planes had come down over the mountains. Mountains in the UK are not particularly high compared to elsewhere in the world but they do pose some problems for rescuers. They still have high peaks and tall slopes which can make rescue attempts difficult. The temperatures on the top of the mountains have the potential to drop to a very low level, even when the altitude is not that high. Winds can reach up to 100mph and the conditions are made even worse if it is snowing at the same time. These conditions can be found at any time of the year including during the summer months.